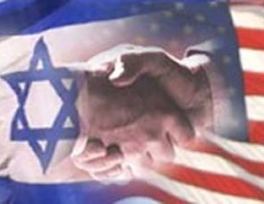 Israel receives more than USD 3 billion from the United States in direct foreign assistance every year. A Pro-Palestine rights group in the United States has launched an advertising campaign to protest against Washington’s support for the Israeli regime. The American Muslims for Palestine (AMP) started its campaign on Tuesday by unveiling some of the ads that will appear for four weeks at 25 stations on the Metro North train line near New York City. The advertisements call for an end to the Israeli apartheid and the financial aid that the US provides to the Israeli regime every year in a show of public anger. “Today, we’re actually funding apartheid in Israel and it’s time for us to stop funding apartheid and to stand for universal justice,”the group’s chairman, Hatem Bazian said. Israel receives more than USD 3 billion from the United States in direct foreign assistance every year. It also gets USD 70 million more in military aid for its missile systems. The US president began his three-day trip to the region on March 20 and met with Israeli Prime Minister Benjamin Netanyahu in Tel Aviv, where he reiterated his all-out support for the regime. He also paid a visit to the occupied West Bank and met with acting Palestinian Authority chief Mahmoud Abbas in Ramallah on March 21, a move which triggered widespread protests among Palestinians.